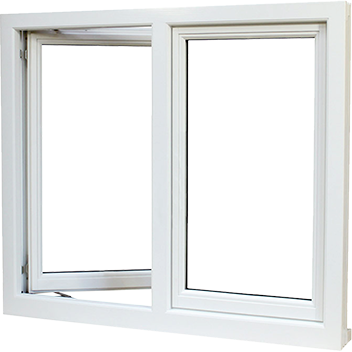 Casement windows have a side-hinged design that opens outward with the use of cranking hardware. This makes these windows a favorite among homeowners who want top-to-bottom ventilation and a lot of natural light to fill their homes. It’s easy and affordable to have new casement windows installed in your home when you rely on the experts at Rite Window. Since our founding in 2000, our certified installers and award-winning staff have been creating a stress-free experience for homeowners in eastern Massachusetts and southern New Hampshire who want top-quality windows at affordable prices. At Rite Window, we’re committed to providing the highest quality service to our customers. You won’t have to deal with gimmicks and high-pressure sales tactics. Instead, you’ll receive attentive care from company representatives who are determined to helping you make home improvements that offer great value. Our dedication to this is proven by our A+ rating with the Better Business Bureau and the many positive reviews on third-party sites. If you’re interested in learning more about our casement windows, call Rite Window or use our convenient online scheduling tool to make an appointment today. We proudly serve Greater Boston and the surrounding communities.